Ran mouth of uplake creek early and hit the flats and points nearby catching a few Stripers then later moved to the river and caught fish on points on Planner Boards with Herring. Had 21 hits, kept 8 fish for 40 pounds and 2 catfish. 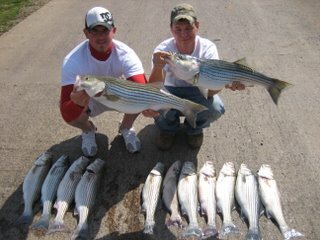 Ran both Gizzard Shad and Herring on Boards on 8' flats early in the day, moving to 15' flats after the sun got bright. 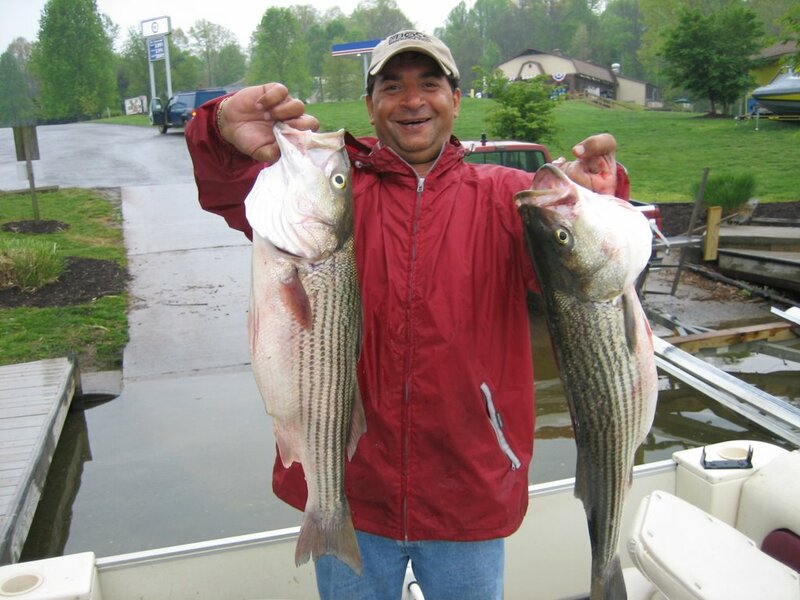 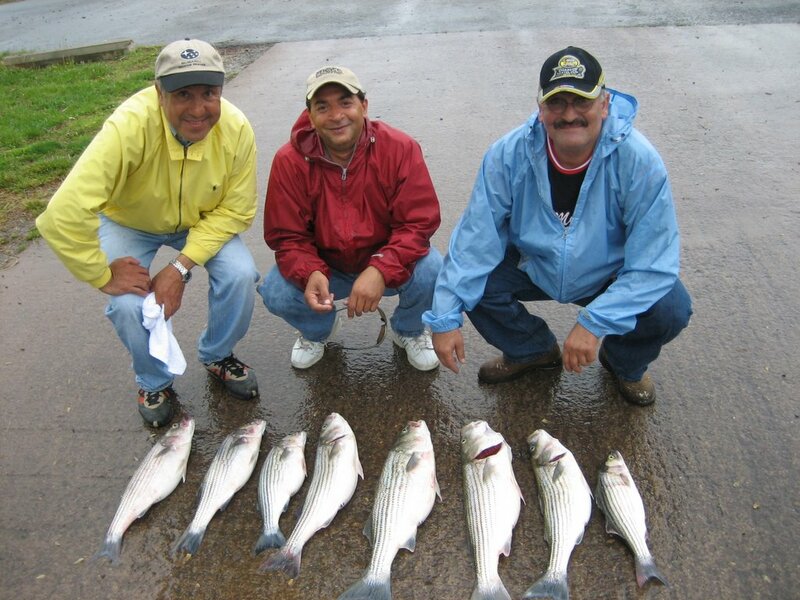 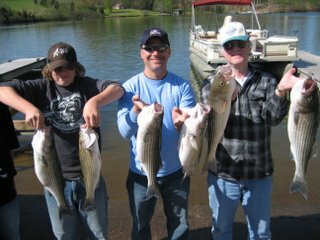 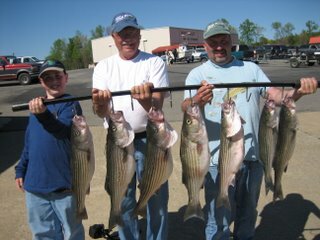 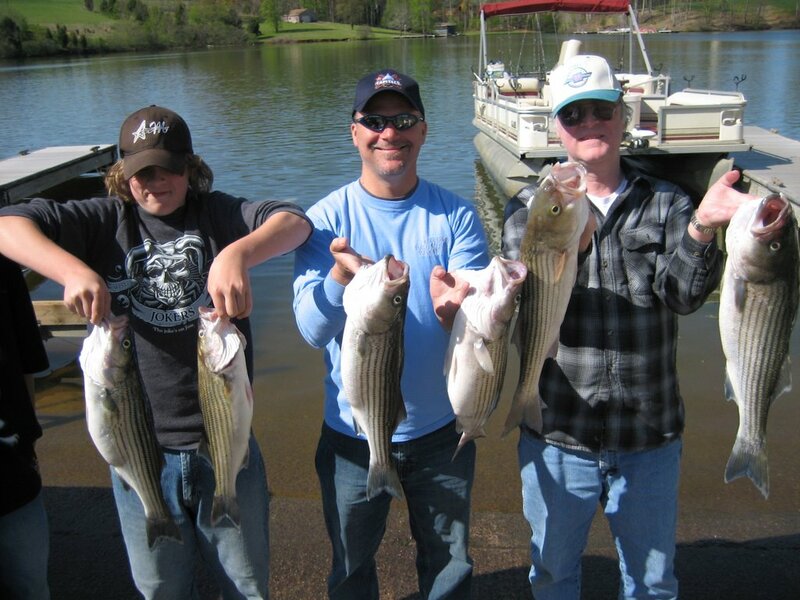 Caught fish equally as well on both baits and by the end of the day clients had 20 hits, kept 12 Stripers and a big cat.